The stately and stylish executive homes at MiraLago start in the $500s and offer 2,400 to over 4,000 square feet of air-conditioned living space. 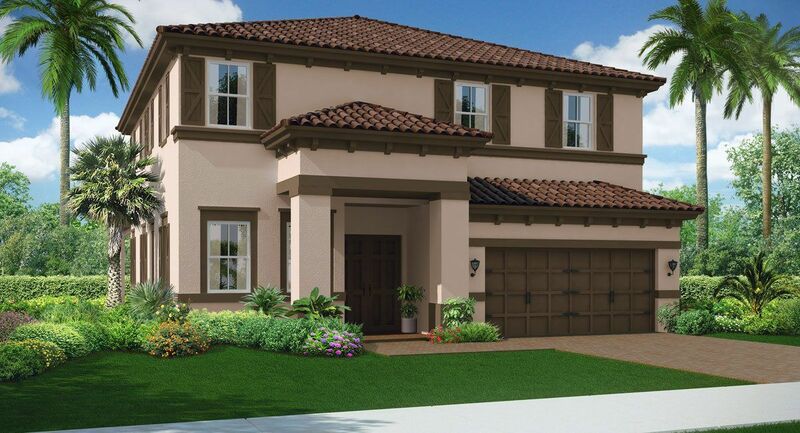 Featuring 6 models with 4 to 5 bedrooms, these elegant 1 and 2-story homes designed with Mediterranean and Mission style architecture, feature 2 to 3-car garages and inviting covered entries and patios. Inside, homebuyers can choose from unique home designs that offer an open living space concept. Areas like the Living, Dining, or Family Room allow the owner to make the space “their own”— their own size and in their own way. Master Suites, bedrooms, bathrooms, kitchen and more accentuate the home along with stylish & dependable appliances and fixtures.